JCC Brooklyn Summer Day Camps provide a safe and exciting environment where children can build lifelong friendships and unforgettable experiences that will last a lifetime. We believe that the summer camp experience should be fun and informative; exciting and supportive and challenging and rewarding. 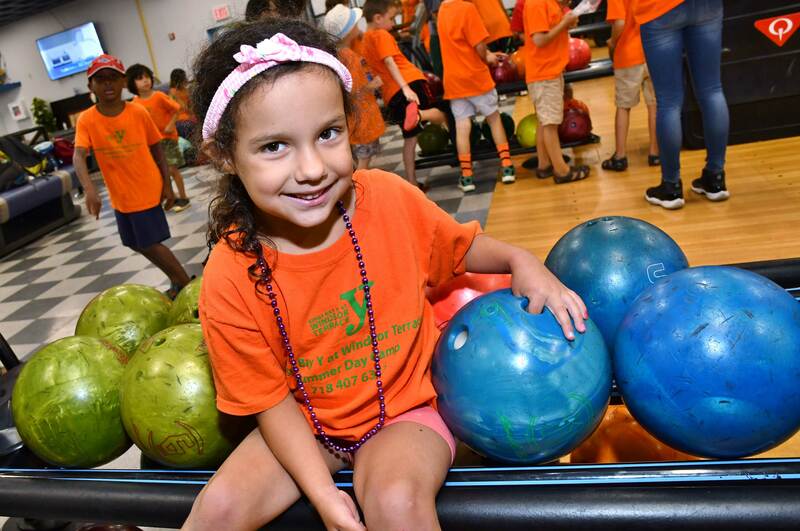 Campers travel to the beautiful, gated 177 acre outdoor facilities on a country-like campus in Bay Ridge several times a week featuring baseball and soccer fields, outdoor pool, private eight-lane bowling alley, movie theater, basketball courts, arcade and cafe on site. 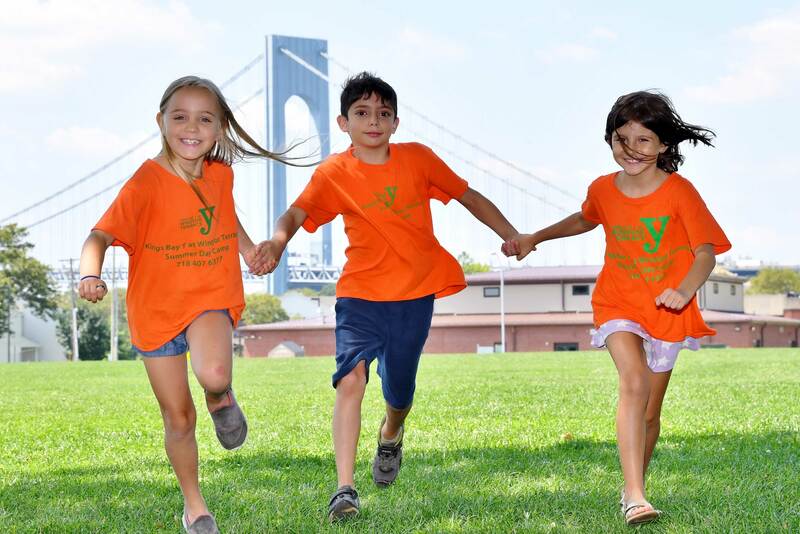 JCC Brooklyn Summer Day Camps are headquartered at three locations: Windsor Terrace, Park Slope, and our beautiful, gated 177-acre outdoor campus in Bay Ridge. Our Windsor Terrace site is located at 1224 Prospect Ave. and houses the preschool camp, summer day camp for children 4 – 6 years old and drop off/pick up for day camps for all ages. Our Park Slope site is located at the Park Slope Jewish Center at 1320 8th Avenue and houses summer camps for ages 7 and up, soccer camp, and basketball camp, We offer two free pick-up and drop-off locations in Clinton Hill and North Williamsburg. We also offer bus stop and door to door transportation from various neighborhoods in Brownstone Brooklyn: Park Slope, Windsor Terrace, Clinton Hill, North Williamsburg, Bay Ridge, Boerum Hill, Carroll Gardens, Brooklyn Heights, Cobble Hill, Ditmas Park, Greenpoint, Fort Greene, and Prospect Heights. Learn more about our transportation options. JCC Brooklyn Summer Day Camps use air conditioned buses for transportation. Unusually high temperatures are expected this summer and we want our campers to be as comfortable as possible. 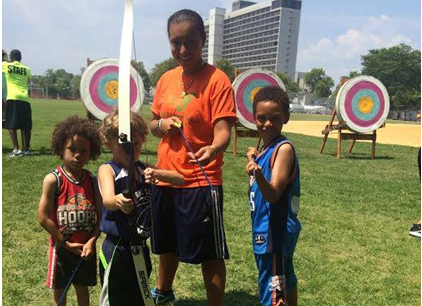 JCC Brooklyn summer day camps staff are committed to meeting the individual needs of each camper. The ratio of children to staff is 13 campers to every 3 counselors. Specialists lead programs such as yoga, dance, martial arts, drama, cooking and more. They are an outstanding group of individuals with creative energy and leadership skills who love camp. Campers immerse themselves in a variety of programs such as swimming, yoga, self-defense, arts and crafts, dance, trips and so much more. By participating in these exciting activities, campers also develop specific skills. The theme days bring an extra dimension of fun to the day, as activities and trips are planned around that theme. JCC Summer Day Camps have uncompromising safety standards for all camps. We understand that campers need to feel secure in order to enjoy the multitude of activities and trips in camp.